Not a single EU state has reacted to "disturbing" news of an anti-gay crackdown in Azerbaijan, even though Baku confirmed that it has arrested "several LGBT people". An EU foreign service spokeswoman, Maja Kocijancic, told EUobserver on Friday (29 September) that the EU was "aware of disturbing reports from press and civil society of mass arrests in Azerbaijan on the basis of actual or alleged sexual orientation or gender identity". She said: "We are in touch with the Azerbaijani authorities for immediate clarifications and expect all alleged cases of abuses to be investigated". She also urged Baku to "fulfil its international commitments on the respect of fundamental freedoms and the fight against discrimination". The EU spokeswoman issued the statement after Ilga-Europe, a human rights NGO in Brussels, had reported, three days earlier, that Azerbaijani police had "actively targeted … at least 50" LGBTI people in a series of raids. Ilga-Europe's local sources said some of them were dragged out of their workplaces, physically assaulted, subjected to forced medical exams, fined, and forced to denounce other LGBTI friends or contacts. Hikmet Hajiyev, a spokesman for Azerbaijan's foreign ministry, confirmed to this website, also on Friday, that "several members of LGBT people were … detained". But he described the arrests as being part of "regular raids against drug and human trafficking, illicit prostitution". "It is completely incorrect to claim that the LGBT community was particularly targeted within this raid," he said. Despite the EU foreign service's statement on "clarifications", Hajiyev added that: "We have not received any reaction from any country, including the EU". 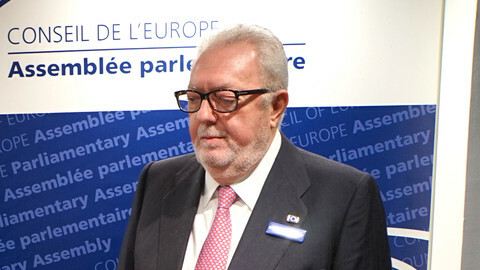 He also said that even if the EU had complained, Azerbaijan would not care. "In order to provide public safety and security Azerbaijan is free to take the necessary measures within the law. Azerbaijan does not accept attempts to interfere in its internal affairs," the foreign ministry spokesman said. Azerbaijan's interior ministry had previously said that those who were arrested had been "disrespecting the people around them". It also said 16 of them had been found to have "Aids or syphilis". Ilga-Europe has called on the EU, as well as international rights watchdogs, to "condemn" Baku's actions. But its staff were disappointed to hear the EU foreign service had still not clarified what was going on as of Friday. 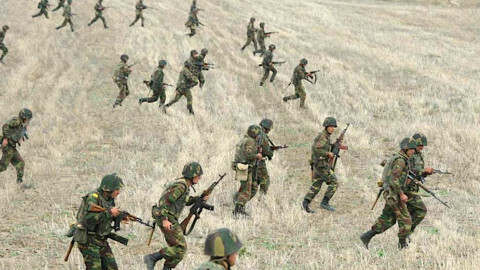 They also said Hajiyev's comments represented a "hardening" of Azerbaijan's line on the issue. The NGO noted that Azerbaijan had in the past targeted gay and trans-gender prostitutes, but said the latest raids represented a "significant" escalation in abuse. It also told this website gay-rights activists in Azerbaijan were too frightened to speak to foreign press. 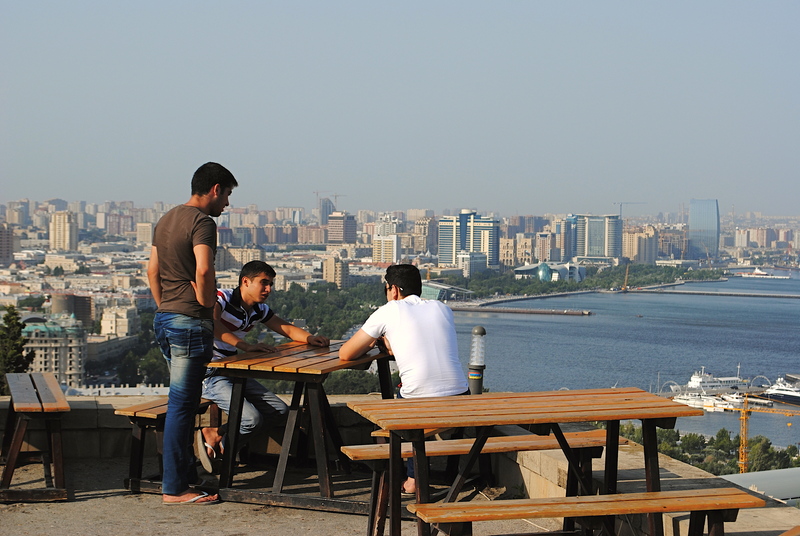 Azerbaijan is, after Russia, the least LGBTI-friendly country in Europe, according to the NGO. But according to Azerbaijan's foreign ministry, that kind of allegation is "propaganda and [a] smear campaign against Azerbaijan". "LGBTI people enjoy all their rights and freedoms as other citizens of Azerbaijan [do] … Azerbaijan is proud of its multiculturalism and tolerance," the ministry's Hajiyev said. The petro-dictatorship has been ruled by the Aliyev family since it gained independence from the Soviet Union. 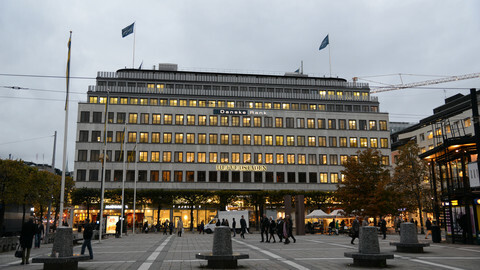 Danish media, citing leaked bank files, recently reported that the ruling clan smuggled at least €2.4 billion in illicit funds out of the country between 2012 and 2014. 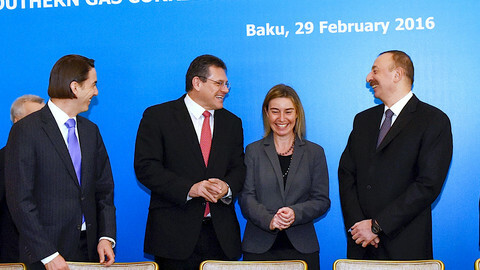 The EU has in the past been accused of keeping quiet on Baku for the sake of oil and gas contracts. 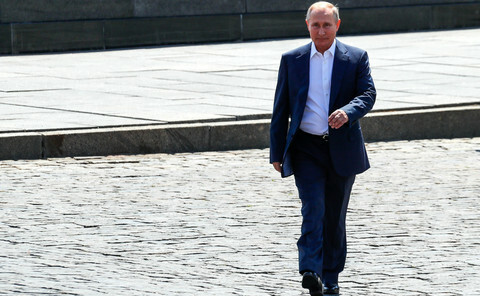 The leaked files showed some of these funds were also used to bribe European politicians to downplay international criticism of its jailings of human rights activists. Ilga-Europe's alert on Baku's anti-gay operation came amid reports that LGBTI people were also being rounded up and abused by authorities in Chechnya, a self-ruling region in Russia. 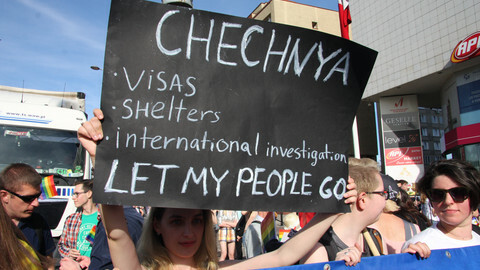 The NGO said gay people from Chechnya were continuing to claim asylum in EU states. It said "the circumstances involved in each scenario [Chechnya and Azerbaijan] are very different and should not be confused". But it also said there was a stark contrast in the EU's strident condemnations of events in Chechnya and its quietism on events in Azerbaijan. A year on from a violent 'purge' of suspected gay men in Chechnya, no culprits have been brought to justice. 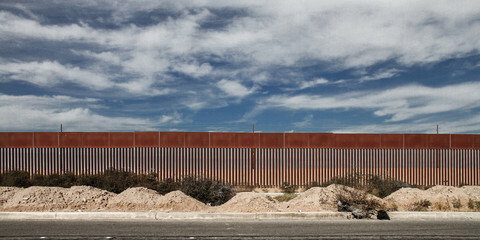 More than 100 victims were detained, with some tortured and others believed to have been murdered.